When watching the big game, you’ll need some delicious, salty-sweet treats! 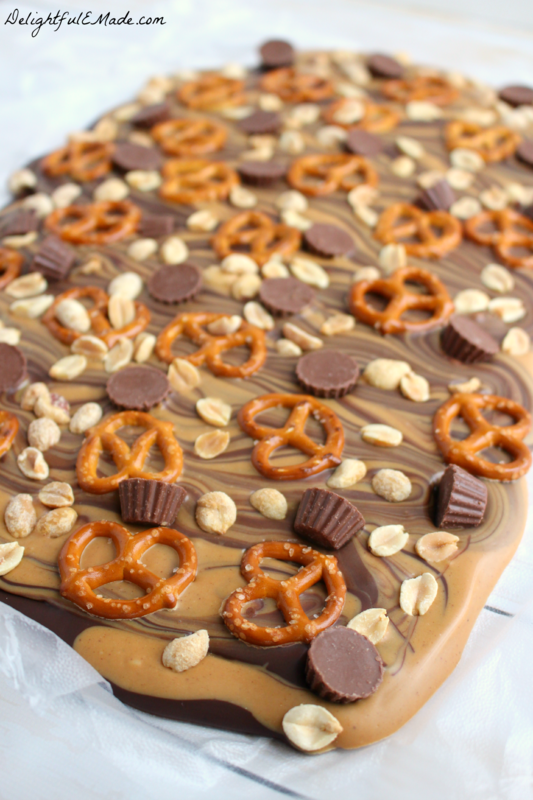 This Peanut Butter Pretzel Bark is perfect to satisfy any craving for chocolate and peanut butter! If you know me at all, you’ll quickly realize that I adore any type of salty-sweet snack. 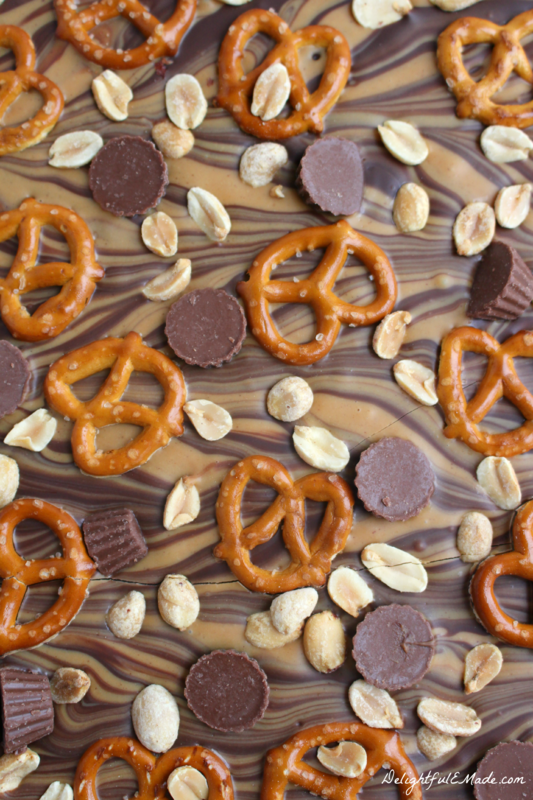 This Peanut butter Pretzel Bark is the most wonderful salty-sweet treat, perfect for any occasion. 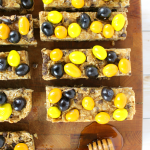 With the Super Bowl in just a couple weeks, this snack is definitely perfect to have on hand for watching the big game. Made with some really simple ingredients, this snack bark is super-easy to make. 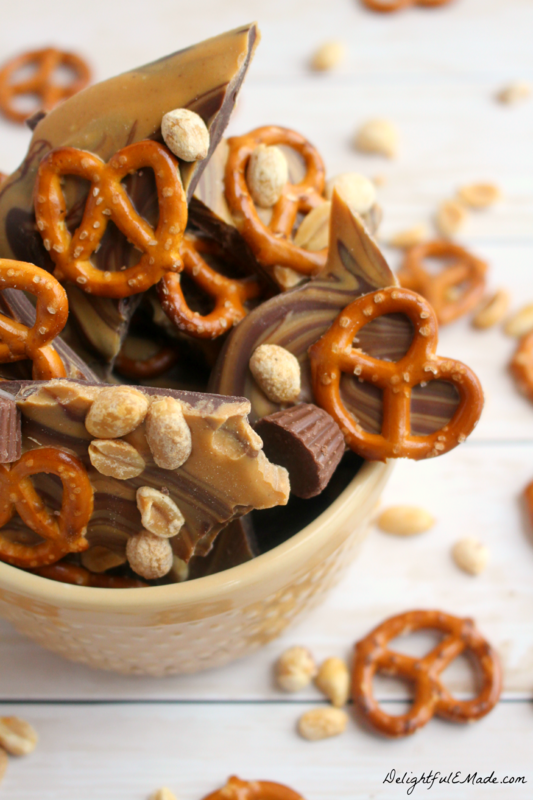 The base is chocolate swirled with melted peanut butter chips, and topped with salted peanuts, pretzel twists and mini peanut butter cups! So simple and so delicious! To make sure your bark comes off the surface your working with, make sure to line it with waxed paper, parchment paper or some type of plastic wrap that will allow the bark to peel off easily. I actually used press and seal wrap, as I was out of waxed paper. Once I added all of my toppings, I put the bark in the freezer for about 20 minutes for it to set and harden completely. From here, your bark will peel right off the paper. You can break it into snack sized pieces in any way you like. 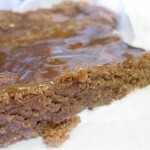 This bark is wonderful for about any occasion! Fantastic for watching the big game, enjoying with friends and family during movie night, or packing up for your next pot-luck or tailgating event! 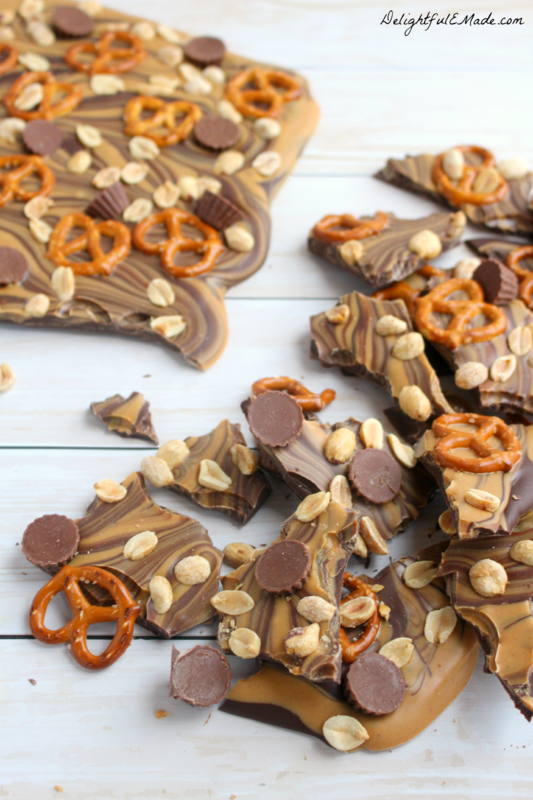 This Peanut Butter Pretzel Bark is perfect to satisfy any craving for chocolate and peanut butter! An amazing salty-sweet treat! Line a baking sheet with waxed paper or plastic wrap. Set aside. 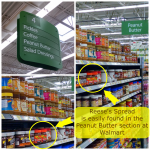 Set out the pretzels, peanuts and peanut butter cups, so they are ready to go when you need them. In the microwave, melt the chocolate candy quik according to package directions. (If using this product, it will come in a microwave-safe melting tray. This works well.) In a seperate microwave safe bowl, add the shortening to the peanut butter chips, and microwave for 1 minute. Stir and heat on 30 second increments until completely melted and smooth. 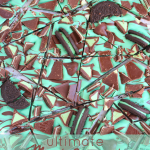 Immediately spread the chocolate onto the pan into a large rectangle, about 1/4" thick. 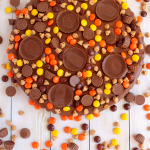 Pour the melted peanut butter chips over the top of the chocolate, and using a spatula, swirl the two together. Working quickly, sprinkle on the pretzels, peanuts and peanut butter chips. Freeze for about 20 minutes for the bark to set and harden. Break into snack sized pieces. Enjoy! 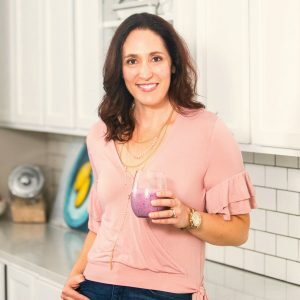 If you want more ideas for watching the big game, I’m participating in a blog hop with several other bloggers bringing you their favorite game-day ideas for food, parties and decor. Make sure to check it out! I need a bowl of this pretzel bark right now, Erin! Oh my goodness, how good does this look!!!!! LOVE the addition of the pretzels, the sweet/salty combination sounds soooo good! Aw man...the only way I can eat french fries is to dip them in a milkshake. 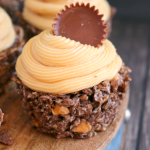 So this recipe sounds like sweet and salty heaven to my tastebuds right now...*drool. Thanks for sharing :) Need to make this asap. We love making bark and this one looks divine! 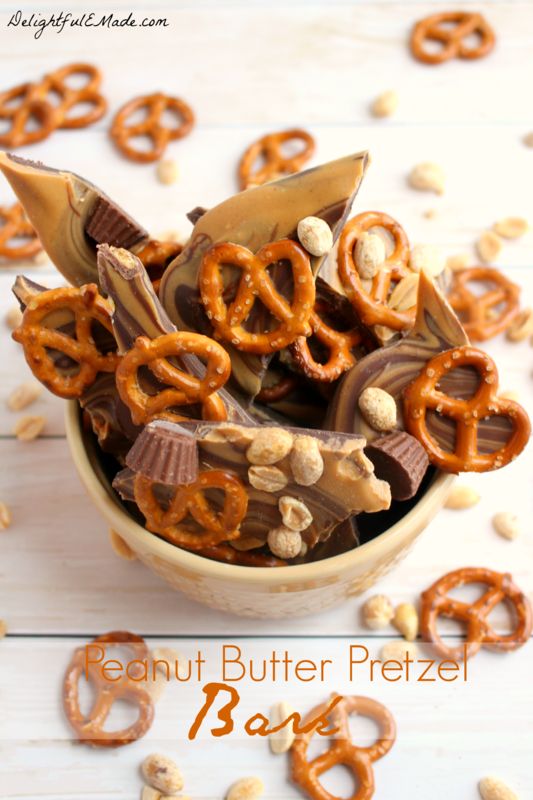 Peanut butter, chocolate and pretzels make for the perfect combination! I love the salty sweet combination - this looks so good! Thanks for sharing at the What's for Dinner party!